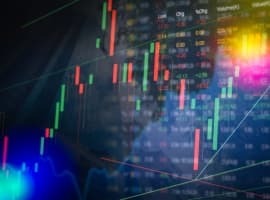 A day after API’s estimate of oil and gasoline inventories pressured prices, the EIA gave the market cause for optimism by reporting not only a draw of 3.3 million barrels in crude oil inventories for the week to August 18, but also a draw in gasoline inventories, contrary to what the API had reported. The API had estimated that U.S. crude oil inventories were down by 3.595 million barrels lower than in the previous week, but that gasoline inventories had seen surprising build of 1.4 million barrels—a figure that pushed oil prices down on the market. The official figures from EIA rejected the estimate. According to the authority, gasoline inventories for the week to August 18 fell by 1.2 million barrels, remaining near the upper limit of the seasonal average. This compares with no change in these inventories during the previous week – itself a cause for concern for the more pessimistic among market participants, as driving season is still in full bloom. 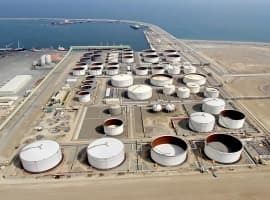 Traders had expected a crude oil inventory draw of 3.5 million barrels, a Reuters poll revealed, with gasoline stockpiles seen to have shrunk by 600,000 barrels. This latest EIA report marks the eighth straight week of crude oil inventory declines. Production remained flat on the week, at 9.5 million bpd, giving further cause for optimism, at least temporarily. Refinery runs last week averaged 17.5 million barrels of crude, compared with 17.6 million bpd a week earlier, when gasoline output fell to 10 million bpd. Last week, the output of the most popular fuel averaged 10.6 million barrels daily. 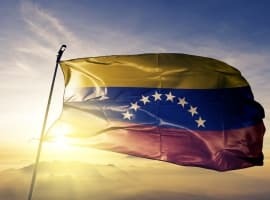 RBC Capital Markets’ Helima Croft, for instance, told CNBC that Venezuela’s PDVSA is very likely to default on a US$3.5-billion debt payment due this October and November, which would severely affect the country’s oil production, she said. Also, Croft said, the Trump administration could pull out of the Iran nuclear deal and return to sanctions, which could affect Iran’s output, again pushing up international prices. Others don’t share the bullish sentiment. John Kilduff from Again Capital said that the danger of PDVSA defaulting on its debt is negligible: it still has US$10 billion in reserves and its debts are mostly to Russia and China, who may be willing to continue supporting it. As for new sanctions on Iran, Kilduff said the other Western powers that took part in the deal are unlikely to join the U.S. in new sanctions, which will curb any adverse effect on Iran’s oil industry.